As previously reported, the Roosevelt Island Blue Dragon Sculpture at Southpoint Park was donated by Swedish artists Ulla and Gustav Kraitz. The Roosevelt Island kids at the unveiling like the Blue Dragon. So, come dance around and enjoy the Roosevelt Island Blue Dragon at Southpoint Park Saturday June 18 from 1 - 3 PM. There will be music, refreshments and crafts too. 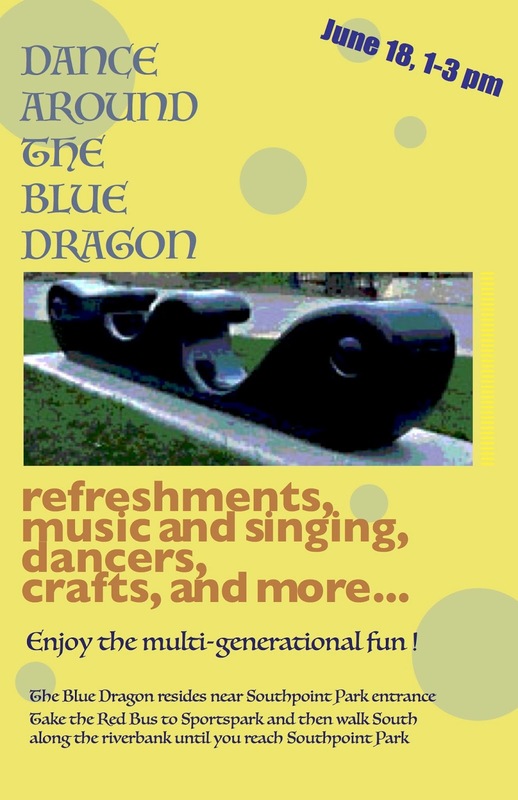 More on the Blue Dragon sculpture at this previous post.